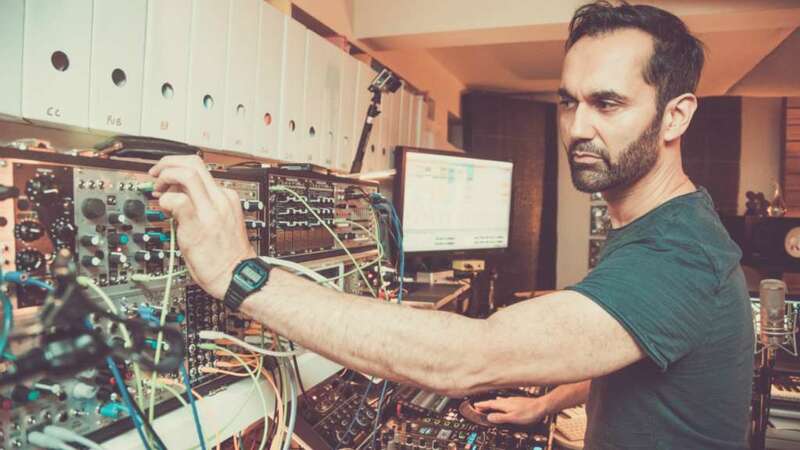 Lead artist DJ Swami and Jaswinder Singh, Project Producer and Director at Asian Arts Agency, will fly out to India this week for the PunjabTronix residency – to develop material with Punjabi folk musicians. The residency, taking place from 19 – 26 February, will bring together DJ Swami and Punjabi musicians to explore ideas and develop new material for the project, ahead of a planned UK tour in July 2017. Swami and the musicians will then continue refining material at another residency in Bristol prior to embarking on a UK tour between 13 – 23 July 2017. Punjabtronix is a new live collaboration between established British-Indian electronic music producer Swami and traditional Punjabi folk musicians, synchronized with unique live mixed digital video projections, produced by Bristol based filmmaker John Minton. An exciting international project produced by Asian Arts Agency in partnership with Watershed Bristol, Punjabtronix is part of Reimagine India 2017, a cultural exchange programme developing creative collaborations between art and cultural organisations in England and in India. Supported by Arts Council England and British Council. For more details, visit the Punjabtronix events page.